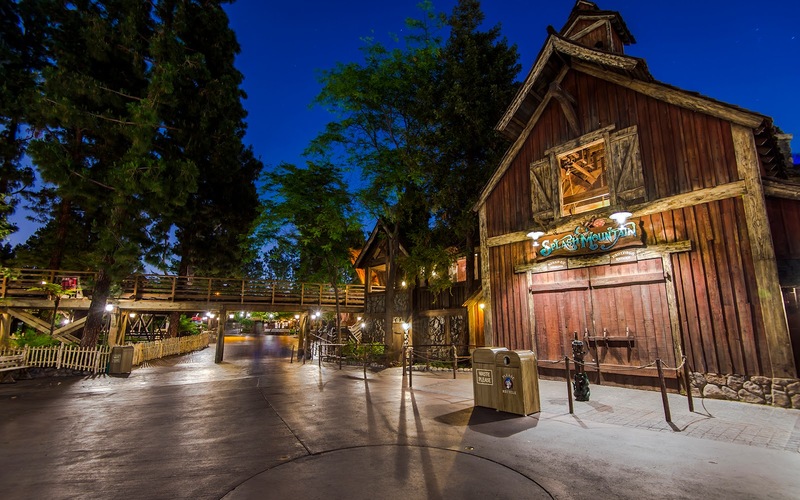 Critter Country is so peaceful and rustic, so when it's empty at the end of the night, the feeling of the great outdoors all to oneself is even more amplified. When I ran through my series of Splash Mountain at night photos, I had never before stopped by the attraction so late at night. Seeing the barn doors into the last bit of queue was a rare sight indeed, but it brought out a tranquil finality to the end of the night. No access to the briar patch anymore; please wait until tomorrow. But all good things must come to an end, and besides, tomorrow is another zip-a-dee-doo-dah day! Splash Mountain has closed for the night.